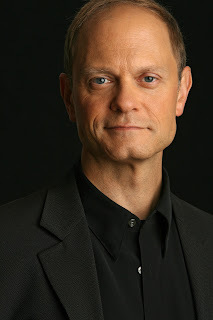 Why is David Hyde Pierce Coming to MYA's April 14 Benefit? David Hyde Pierce (born April 3, 1959) is an American actor and comedian. He is best known for playing the psychiatrist Dr. Niles Crane on the NBC sitcom Frasier, for which he won four Emmy Awards during the series' run. Why would he fly to Chicago to make an appearance at a music school benefit? What's the connection? David may be a famous actor, but he is also a musician, and for Dr. D, Founder and Director of MYA, who rarely watches television (except football games) and never caught an episode of Frasier, he is known as a classical pianist who soloed with the high school orchestra in Saratoga Springs, New York, where he taught years ago. The piece was Beethoven's Choral Fantasy, and even back then, he was a huge talent. Reconnecting recently at a Ravinia performance, David confirmed that he found acting easier than practicing hours and hours to be a classical pianist. What a successful career, and what a wonderful person to come to Chicago for MYA's event, paying his own way, because he believes in our mission and the value of arts in our society. We are most grateful that in addition to his appearance at the benefit, performing You Wont' Succeed On Broadway from Spamalot, with MYA's VX Studio Vocal Ensemble and members of our Big Band, David will also be rehearsing Beethoven's Piano Concerto No. 1 with Symphony Orchestra that afternoon. What an act of kindness, surely to inspire our students.